The new Kangaroo series has collectors jumping for joy! You might want to stash a few more away than you thought. These one-ounce Silver Kangaroos offer two monumental firsts from the Perth Mint - in purity and security. One of Australia's most iconic animals, this Kangaroo is the first ever 99.99% (four nines) pure silver coin released from Perth Mint. 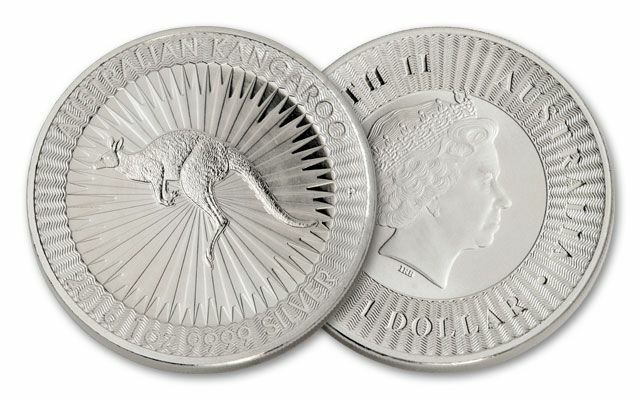 Each is struck with a classic red kangaroo on the reverse, designed by the Queen's own goldsmith and jeweler. Another exciting Perth Mint "first" promises peace-of-mind and confidence in your purchase: This Kangaroo is pioneering one of the mint's latest technologies in the form of a unique authentication feature on the reverse. 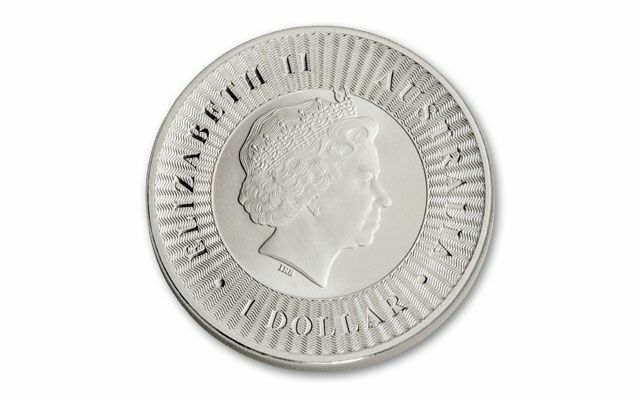 Designed to reduce counterfeiting activity - there is a micro-laser engraving within the first "A" in Australia that is only visible through magnification. Considering the innovative technology, impeccable quality and dynamic kangaroo design...ding, ding, ding, you have a winner! Order yours in Brilliant Uncirculated (BU) condition.